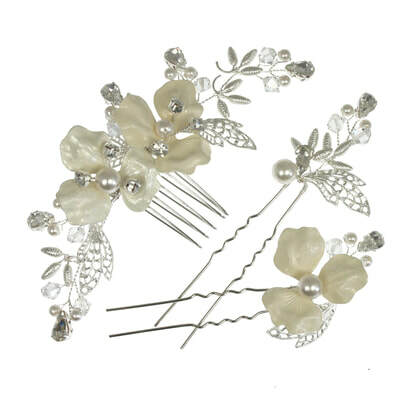 Beautiful hand enamelled flowers sit amongst filigree leaves, pearls & crystals in this pretty bridal set of a side comb and two matching hair pins. 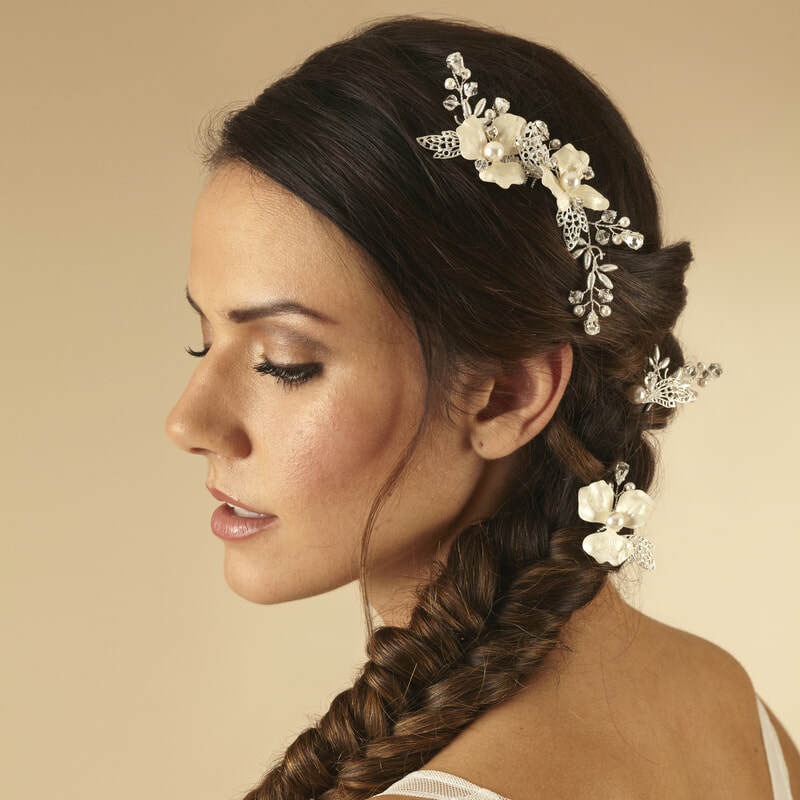 Wear around a bun, scattered through an updo or cascading down a side plait (shown) depending on your bridal style. Available with classic silver filigree leaves as shown, or with Soft or Rose Gold leaves.